Travelers have many reasons to be thankful this Thanksgiving. In particular, those who opt to fly on Turkey Day not only reap the rewards of shorter TSA lines but also get great value for a Thanksgiving getaway (see our tips for booking cheap Thanksgiving flights). We’ve crunched the numbers and found that airfares for a Thanksgiving weekend vacation are down significantly over last year to a number of popular domestic and international destinations. Those looking to fly out on Thursday, Nov. 23 – Thanksgiving Day – and return on Monday, Nov. 27, are finding double-digit savings over airfares from last year to many top spots. Our list includes destinations that are down more than 15% on average over last year, so read on and start searching for Turkey Day flights on Cheapflights.com (we have a feeling you’ll be back for seconds). Whether you’re booking a big city trip to celebrate Thanksgiving with friends or family or, with that turkey dinner barely digested, you’re looking for ideas on places to jet off to for a budget-friendly adventure, check out our picks for Thanksgiving deal destinations with all the fixings in 2017. You’ll be thankful for the bargain bon voyage (and memories that last longer than a Black Friday sale). 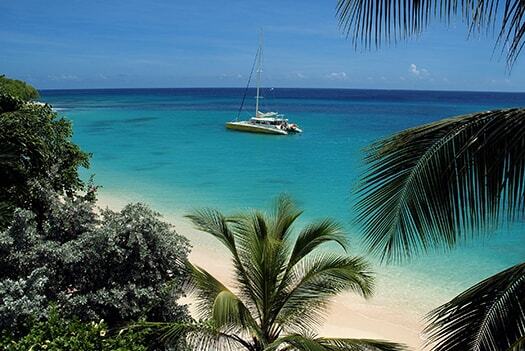 Bustling Bridgetown, Barbados, boasts a yacht club, off-shore shipwreck diving and duty-free shopping. The charming commercial hub is one of the most beautiful cities to explore on foot in the Caribbean thanks to its British colonial architecture. Popular pastimes include sunbathing on the pristine beach at Carlisle Bay and touring the 350-year-old St. Nicholas Abbey to see how its famous rum is produced. Don’t miss a stroll through Cheapside Public Market for Bajan fruits, vegetables, plants, spices and handicraft souvenirs and dinner at the lively (and delicious) fish fry in Oistins held each Friday night. Barbados, a 166-square-mile island in the Atlantic Ocean on the easternmost edge of the Lesser Antilles, is also one of the Caribbean islands not impacted by this summer’s hurricanes. With average temps hovering between 84 and 88 degrees Fahrenheit, it’s also a warm respite from colder climates. 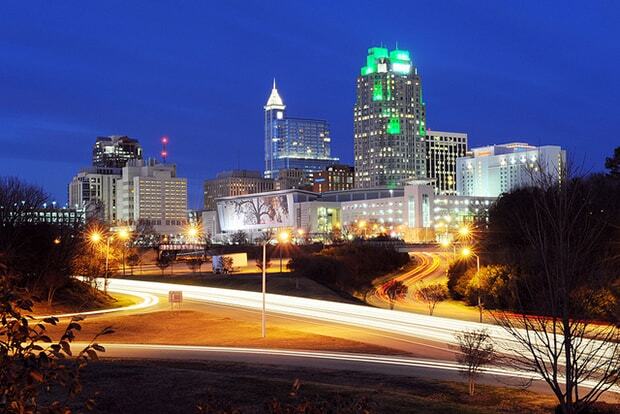 Nestled in east-central North Carolina where the bucolic Piedmont region meets the coastal plain, Raleigh is a charming southern town of nearly half a million residents. Fall temperatures hover in the 70s, making autumn ideal for exploring Raleigh’s 9,000 acres of parkland in the city’s more than 200 parks. Make time to sample craft brews at one or two of the area’s 30 craft breweries. Reno, NV, “The Biggest Little City in the World,” offers plenty to keep travelers busy. Try your luck at the casinos, admire Lake Tahoe, take selfies in front of the Reno Arch, and cycle the city’s biking trails. 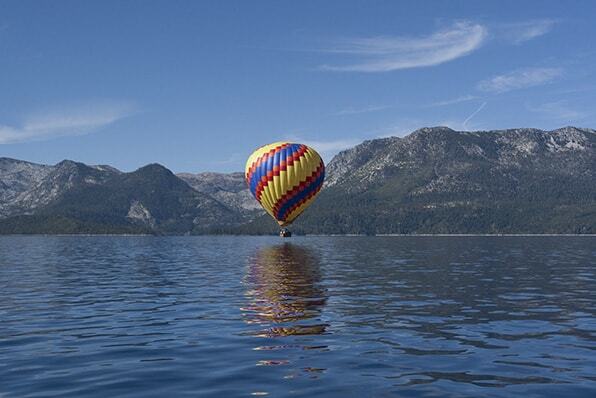 And, if you want to rent a car and explore, just 46 miles away is the lakeside town of Tahoe, Calif., which looks like a scene out of a storybook. The mountain resort is nestled on the biggest alpine lake in North America and has the largest concentration of ski resorts, from downhill to Nordic, on the continent. 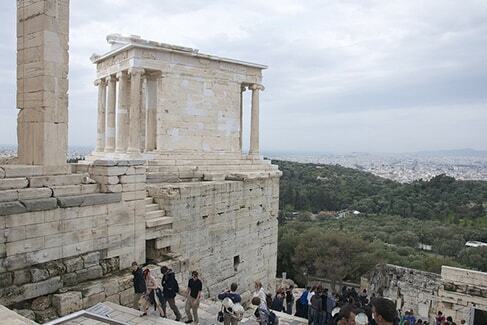 Visit the ancient ruins of The Acropolis, dedicated to the city’s patron deity, Athena. The area includes the iconic marble Parthenon. Admire a reconstruction of the Parthenon frieze that frames the Parthenon’s cella, one of the ancient world’s most important works of art. Parts of the original 160-meter long frieze, sculpted from 115 stone blocks, are exhibited at the adjacent Acropolis Museum. Stroll the streets of the Plaka and sample Greek treats from street side souvlaki stands during a trip to Athens before island hopping to picturesque Crete, Rhodes or Santorini. It might take more than one trip to Iceland to chase the Northern Lights, which appear between September and April. 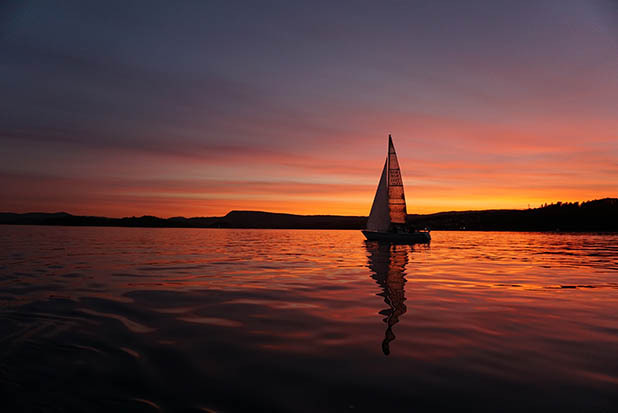 Since the Northern Lights can only be seen at night, fill your days with adventures like exploring Thingvellir National Park or soaking in the Blue Lagoon. (Tip: when you arrive on an early morning flight, pre-book a bus ticket that includes entry to the nearby Blue Lagoon to soak away jet lag. 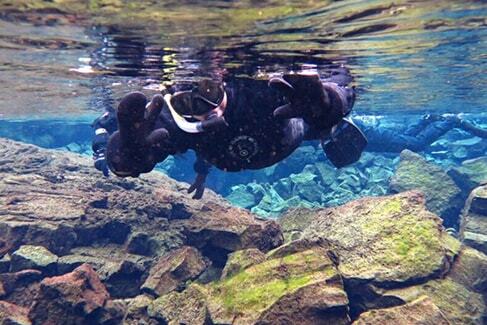 The popular geothermal spring books up quickly as do its special floating massages). While it’s possible to join organized Northern Lights tours that depart from Reykjavik, you might have better luck heading away from the capital. You’ll see much more of the country by driving the 828-mile Highway No. 1, a ring road that connects some of the island’s most popular attractions. Try to stay at least a handful of nights to up your odds of seeing the Northern Lights and check The Icelandic Met Service for the northern lights forecast. Numerous package deals and stopover programs via Icelandair also afford travelers the flexibility to make this a two-for-one adventure, since Icelandair affords travelers the opportunity to stay for up to 7 nights without additional cost before continuing on to other European destinations. 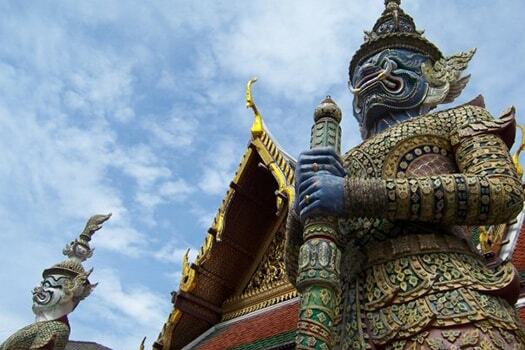 Bangkok is known as backpacker heaven, making it a perennially popular bargain vacation. There are numerous hostels, cheap (and delicious) street food and cheap bars along Khao San Road – all worth exploring. Bangkok is also home to many ‘wats’ (Buddhist temples) like Wat Pho, which houses an impressive 150-foot-long reclining Buddha covered in gold leaf, and Wat Phra Kaew (Temple of the Emerald Buddha), which is built on the grounds of the Grand Palace and houses an emerald Buddha carved into a 2-foot block of jade. Don’t miss the chance to take an inexpensive water taxi along the Chao Phraya River. Bangkok is also the perfect starting off point to head north to bucolic Chiang Mai or head south to the beautiful beaches of offshore island Phuket or get a sak yant tattoo at Wat Bang Phra temple in the Nakhon Pathon province, 124 miles south of the capital. Thailand is also a paradise for spa lovers. The Thai massages here are so inexpensive you could opt to have one every day if you wish. Aim for a trip in the first 3 weeks of November when the weather is mild and sunny. Singapore is known for its high cost of living, but airfare to Changi International is down significantly from last year, making it a great time to go if it’s been on your radar. A trip (or 2 or 3!) to the famous hawker centers for dinner is a must. Spend time window shopping on Orchard Road and at shopping centers like Gardens by the Bay, a stunning mall that boats the OCBC Skyway, an aerial steel walkway suspended from two “supertrees” that form part of a vertical garden of 12 “trees” in the heart of the shopping complex. 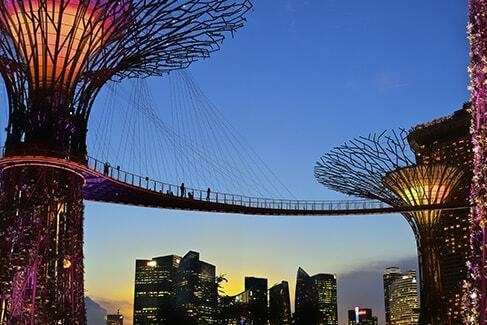 The 420-foot-long skyway soars 72 feet above ground and is the perfect spot to take priceless panoramic photos of Supertree Grove entertainment complex, the surrounding Marina Bay area, the skyline and the requisite selfies. From simple street food to Peranakan cuisine to restaurants helmed by Michelin-starred chefs, the culinary scene is so hot you won’t miss the turkey dinner. The Canada Line rail connects Vancouver International Airport to downtown Vancouver in just 26 minutes, making this a great place for a long weekend trip. 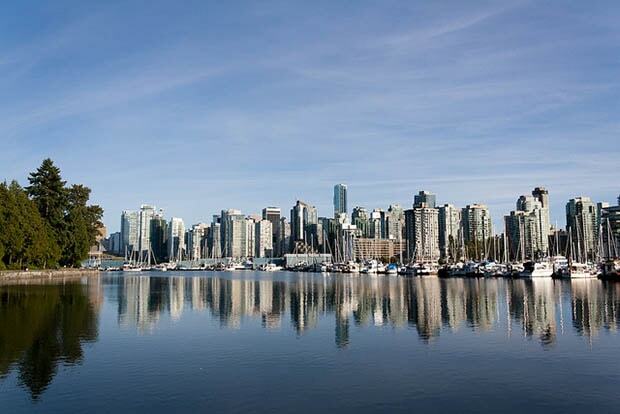 Start with a 360-degree view of the bustling seaport city from 547 feet up at the Vancouver Lookout. Afterward, take a stroll through the Dr. Sun Yat-sen Classical Chinese Gardens, an elaborate garden built in 1986 using classic 14th-century methods. Located in southern Alberta in Western Canada, Calgary is a bustling metropolis filled with fall fun. From ghost tours through a turn-of-the-century neighborhood to a classic steak dinner, there is plenty to see and do. 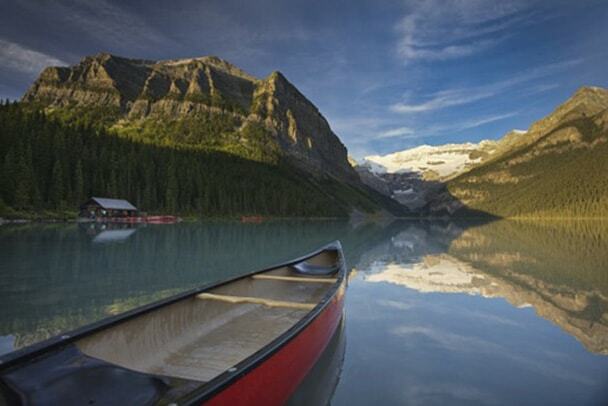 Drive an hour outside downtown Calgary to the Canadian Rocky Mountains. Watch for deer, elk, and other wildlife on the ride to Banff and Lake Louise. Soak in the hot springs 5,200 feet above sea level, the highest hot springs in Canada, and kayak along the picture-perfect turquoise glacial waters. The capital of Finland is a charmingly walkable city. 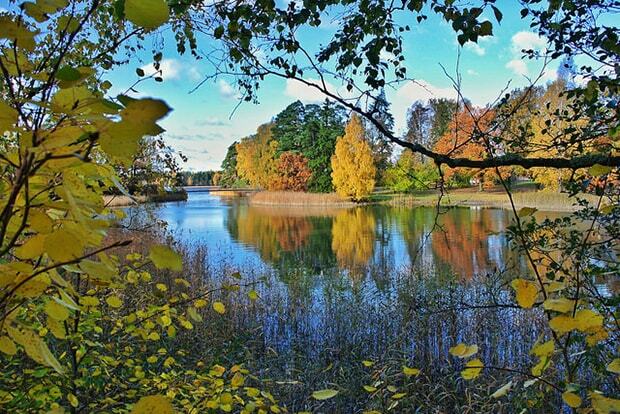 Attractions include Tuomiokirkko Cathedral, which overlooks the Neoclassical Senate Square. The nearby Market Square and Esplanade Park are picturesque parks worth a stroll. Stop for a snack and window shopping in the Tori Quarter. Make time to visit the city’s numerous museums, including the National Museum of Finland, Finnish Museum of National History, Ateneum Art Museum, The Museum of Contemporary Art Kiasma and Seurasaari, as well as Suomenlinna, one of the world’s largest sea fortresses constructed on a chain of islands off the coast of Helsinki in the 1700s. Are you prepping for a Thanksgiving getaway? Find flights (and accommodations) and celebrate all the way to the airport. *Just so you know, the data for this story was compiled on Oct. 16, 2017, and compares the average cheapest airfares found on Cheapflights for travel dates Thursday -Monday, Nov. 23-27, 2017, with the average cheapest airfares found for Thursday-Monday, Nov. 24-28, 2016, from departure points across the U.S. to the destinations above and is intended as a guideline only. Check the latest up-to-date prices and search for flights at Cheapflights.com.